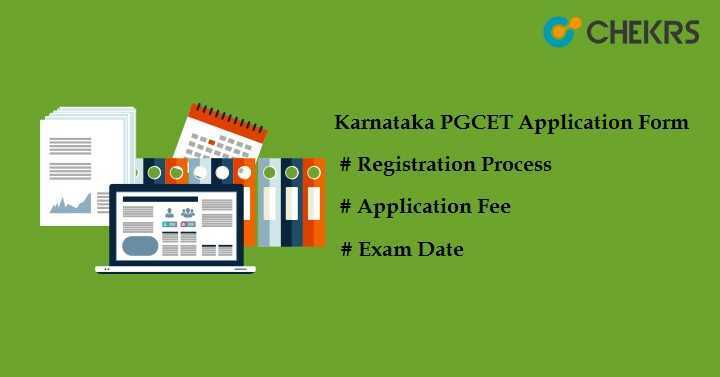 Karnataka PGCET 2019 Application Form: KEA PGCET entrance exam will be organized by Karnataka Examination Authority, Karnataka in the month of July. This exam offers direct admission into 178 colleges of Karnataka state. Candidates who want to pursue various post-graduate courses like MTech, MBA, and MCA etc can apply for Karnataka PGCET. This exam is held through offline mode. To appear in this exam, applicants will have to fill the KEA PGCET Application Form. The application form can be filled through online mode only. Students can check the status of application form, exam date, eligibility, fee and all important details here. Must have Bachelor’s degree of minimum of 3 year duration/ equivalent exam from recognized university. To take admission into MCA course, candidates must have graduation degree with at least 50% aggregate and have Mathematics /Statistics /Computer Science/ Computer Application/Computer Programming/ Business statistics/ Business Mathematics as one of optional subjects. For SC/ ST, passing criteria will be 45% from any recognized university or institute. Students having GATE score-card can also apply but they have to submit the application form. Note: For more details related to eligibility criteria, Check Here. Visit the official website of Karnataka Examination Authority (KEA). Click on the link PGCET-2019 available at the right side of the portal in FLASH NEWS. Click on the given link “Online Application”. Click on the link “New User? Click Here to Register”. Fill the registration form with personal details, mobile no, email id etc. Submit the registration form. A message will be send to the candidates registered mobile no or mail id. Login to the account with UserId & Password. Fill the application form with all required details and select exam center as per your choice. Upload recent taken photograph, signature & thumb impression in jpg/jpeg format at the place given for photos, signature & thumb-impression. Check the format, dimension and size of photograph, signature & thumb-impression here. 3. Left-thumb Impression 5 – 40 KB 3.5 x 1.5 cm Must be put on white paper with blue or black stamp pad. Click on “I Agree” declaring all entered details are right. After submission, no modification will be made. Pay the application fees after filling the form and submit it. Take printout of the filled application form for future reference. Paying the application fee is the last steps of application form procedure. Candidates who will apply for the KEA PGCET 2019 have to submit the fee in any branch of SBI, Mysore or payment can be done through online mode such as credit card/ debit card/ net banking etc.